On Saturday I had the pleasure of photographing Sam and Graham. I’ve had the opportunity of getting to know them really well, and I mean that quite sincerely. We met in Salcombe for a pre wed shoot and during this time I learned a little more about Sam losing her mum to cancer. Sadly her Granfather passed just before the wedding also. So this sounds like a really depressing blog to start with? Well hopefully not. On their wedding day, Sam and Graham sat me with some other guests for the wedding breakfast. I sat and chatted to my neighbouring diners and the conversation took the course of my approach to wedding photography and their experiences that they, being of a slightly older generation, had encountered. One person mentioned to me that they had recently looked back through their wedding album from the early 1980s. Whilst at the time they were entirely happy with what they received, there were elements missing. In the husband’s words the photos compromised of the “usual suspects” – his wife arriving at church, the signing of the register, confetti, some posed pictures of them as a couple together with some family group shots. Of the family group shots, he said that there were certain people at the wedding that were captured but that despite this, he couldn’t recall all of the people in attendance. It may be a little sombre to think that there are people who will be at a wedding who may not be around for much longer but it’s an important factor to consider for many couples. So whilst I will be ultimately be focused on a couple, I will also be looking for great pictures of almost anyone and everyone who’s there. That’s not just the grandparents who may not be around for so many years (which is clearly very important) but to photograph your best friend and bridesmaid who will be dancing with her potential future husband, to capture the look of admiration from the mother of your groom as he stands nervously in front of the assembled guests to tell them how much he loves his bride, and to capture a niece or nephew running around in the summer sunshine shrieking with delight at throwing confetti. 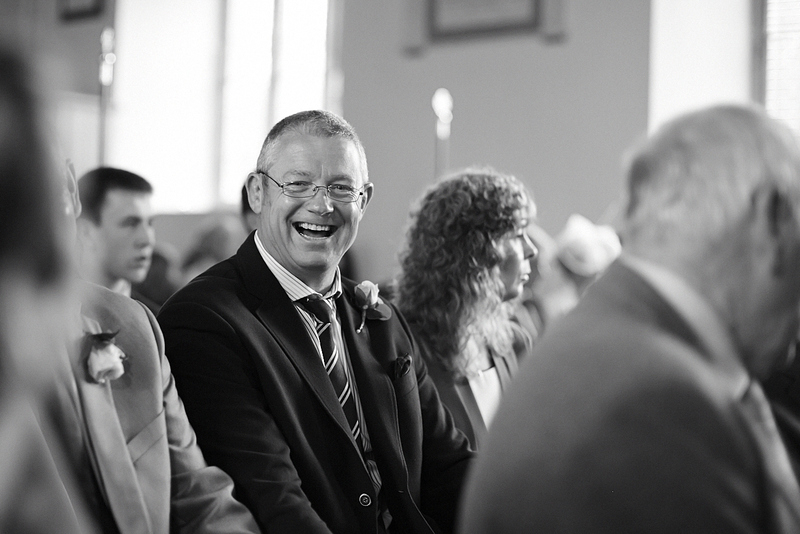 During a wedding I am surrounded by life, that is my job; photographing life, love, laughter, sadness and happiness. So when you have an argument with your partner and need to be reminded of how much you really love each other, when your parents pass away or your nieces and nephews move away to University, you will look through your wedding pictures and remember those incredibly moving, touching and loving moments you all shared on your special day. It’s critical to photograph a wedding as a ‘whole’ and consider that both group shots and other moments that aren’t choreographed are very important and provide memories for years and years to come… That’s my aim which I hope is met when I present every couple’s very individual wedding story.